With writer/director/star Dax Shepard’s new action rom-com Hit & Run opening in less than three weeks, we have a new TV spot to share with you today. 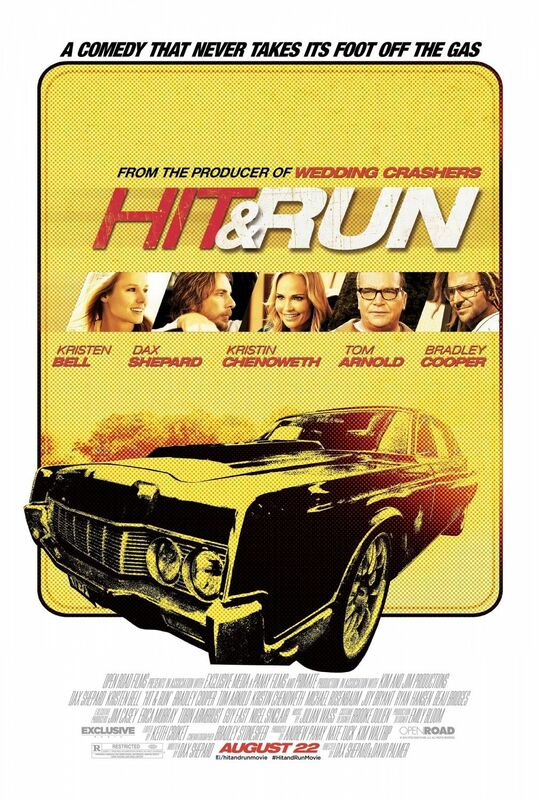 The film features Shepard as Charlie Bronson, a former getaway driver who enters into Witness Protection, but risks his anonymity when he offers to drive his girlfriend (Kristen Bell) to Los Angeles. The duo find themselves chased by not only the Feds, but Charlie’s former criminal crew as well. Also starring Tom Arnold, Bradley Cooper and David Koechner, Hit & Run opens August 22nd. Hit the jump to check out the new TV spot. Charlie Bronson, a former getaway driver busts out of the Witness Protection Program to drive his girlfriend to Los Angeles so she can land her dream job. Their road trip grows awkwardly complicated, when they are chased by the feds, and increasingly dangerous, when Charlie’s former gang of criminals enter the fray.